Did you know, according to Venetian folklore, couples in a gondola who kiss whilst going under a bridge will remain together forever? It’s no wonder Venice is praised as the most romantic city in the world. Winding canals, grand squares and waterside restaurants make a Venice city break utterly amorous. The best time to visit Venice is in the shoulder season including April, May and September where the weather is warm and the crowds are smaller. November to March can be cold but also magical, as you’ll most likely have attractions to yourself. The summer months can be busy and often uncomfortably hot. Regardless of the weather, the city never fails to give you lasting memories. ‘Calletta’ is one of the narrowest streets in the world at 53cm wide. January is the coldest month in Venice and a great time to explore the city and meet the locals. It’s a truly wonderful time to visit and you may even have St. Mark’s Square all to yourself. On New Years Eve the streets are lined with festive lights, street performers and musicians. On countdown to midnight a beautiful firework display lights up the sky to rival any New Year’s celebration. Most hotels will have their own parties so pack your black tie. A national holiday on January 6th. Befana is said to have travelled with the wise men giving gifts to children as she passed. On this day, Italian children celebrate her arrival. 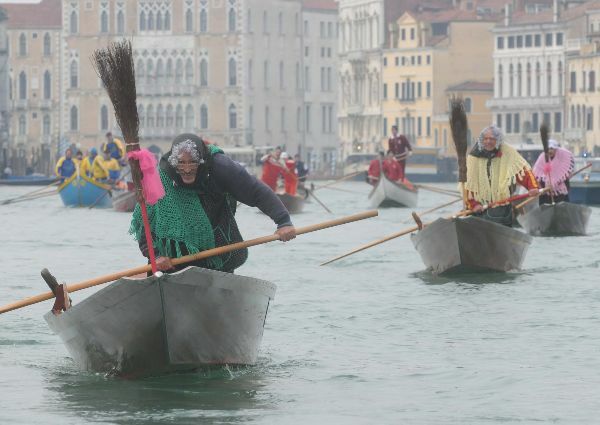 The witches regatta is a particularly entertaining event where men dress as witches’ and race in the Grand Canal. Slightly warmer than January although you’ll still need to pack a coat. There’s no need to fight crowds to sightsee and the buzz of excitement for oncoming Carnevale is evident in the air. For two weeks in February (sometimes March) the city is alive with colour, elaborate masks, costumes, food fairs, parades, masquerade balls and more. 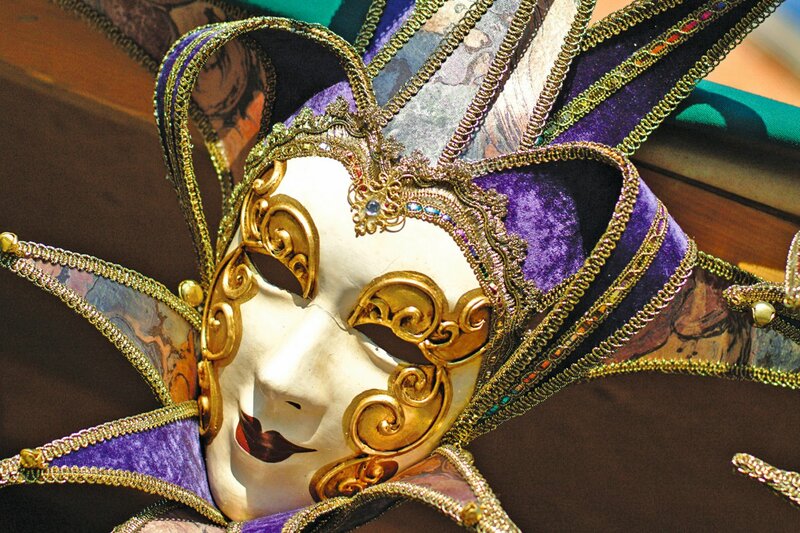 Carnevale is Italy’s Mardi Gras, full of local traditions and live music. Where better in the world to be on this romantic day, than the most romantic city in the world? In March Venice is quiet and tranquil and an idyllic lull ascends on the city, as for locals, it’s business as usual. You may still experience cold days so it’s essential to pack a coat. On certain years Carnevale and Easter may fall in March. The weather really begins to brighten up and signs of summer begin to bathe the city. It’s a beautiful time to visit as days become longer, water becomes warmer and there is an enticing local feel. 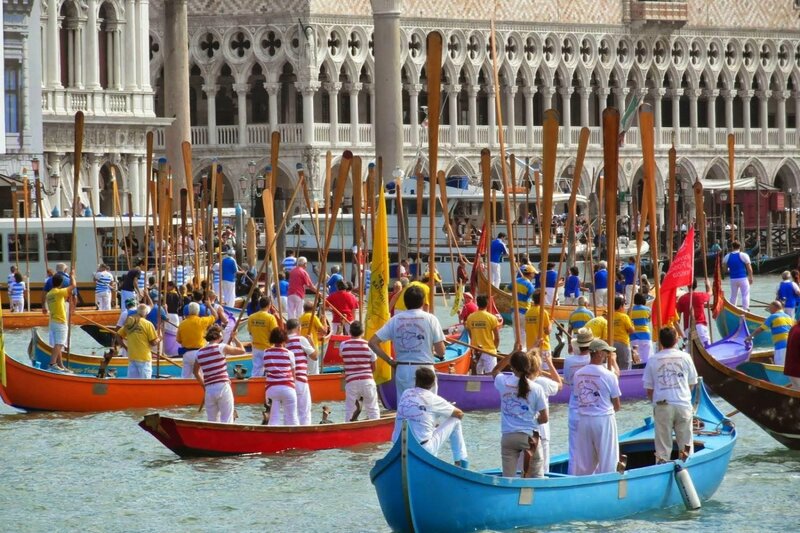 Easter in Venice is a highly traditional and religious affair. Locals attend mass and cook traditional dishes. You’ll find much less chocolate bunnies and a lot more lit up cathedrals. This ‘week of culture’ takes place across Italy. State run museums and monuments are open for free. 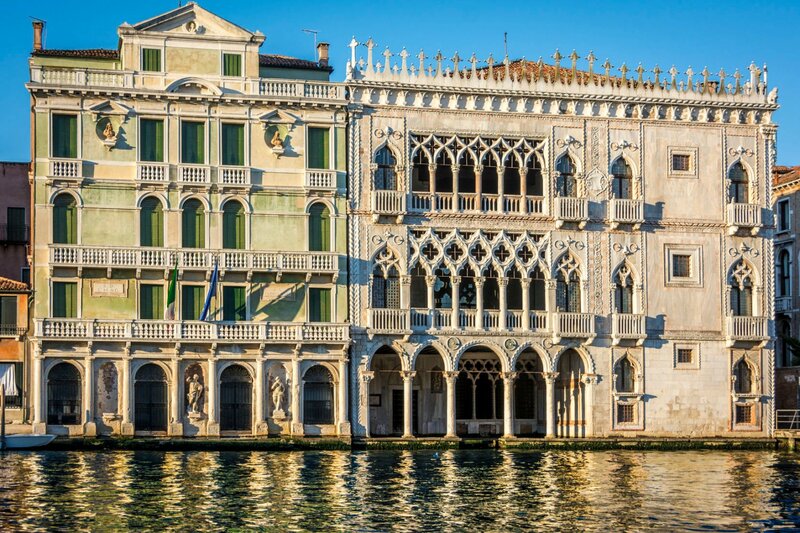 In Venice this includes the Academia, Ca d’oro and the Archaeological museum. On April 25th Venice celebrates their patron saint ‘St. Mark’ as well as liberation day. On this day men would traditionally give a single rose to the woman they love, so no doubt you will see local women holding a single rose. Travel to Venice in May and expect long warm days, cool evenings overlooking the canal and gondola rides at your leisure. It becomes warm enough to bathe on the beach yet the crowds have not yet descended. This is the best time to visit Venice for sightseeing. This 30km rowing race is incredibly entertaining to watch. Cheer on your favourite racer from cafes lining the lagoon or simply pull up a chair and be prepared to sit on the edge of it. This is quite a unique festival which will certainly give you unusual stories to tell. A symbolic ceremony takes place to marry Venice to the sea. There is a procession of colourful parade boats and a golden ring thrown to sea. If you like warm weather this is the best time to visit Venice. Summer really begins in June with frequent heatwaves and busy beaches. Tourist attractions extend their opening hours and there is an attractive city buzz. Running throughout the summer, this contemporary art festival only takes place on odd number years. Exhibitions, performances and huge artistic installations pop up around the city. 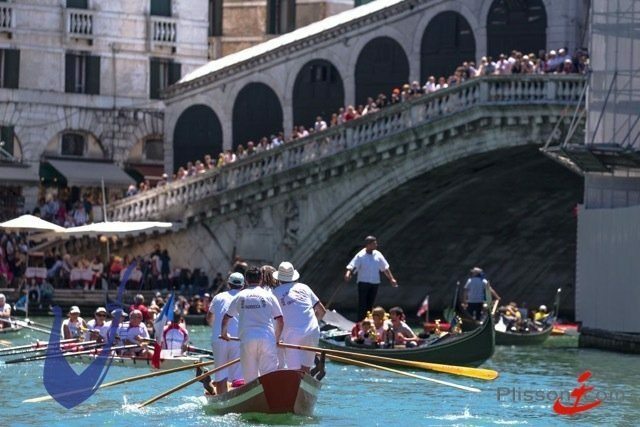 July is no doubt the busiest and hottest month in Venice. Crowds are filled with locals, families and the usual tourists. It can be very humid, sticky and often uncomfortable, yet it still remains one of the most popular times to go. 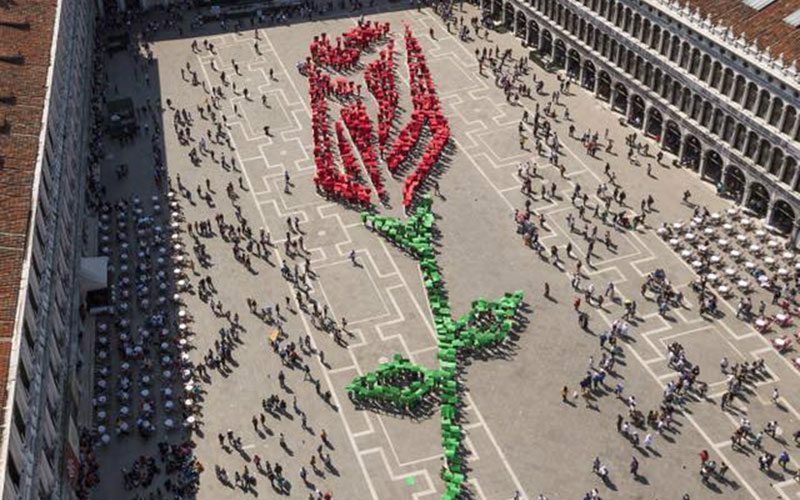 Festa del Redentore celebrates the ending of the plague in Venice. A temporary bridge on floating pontoons is erected over Giudecca Canal on the third Sunday in July. 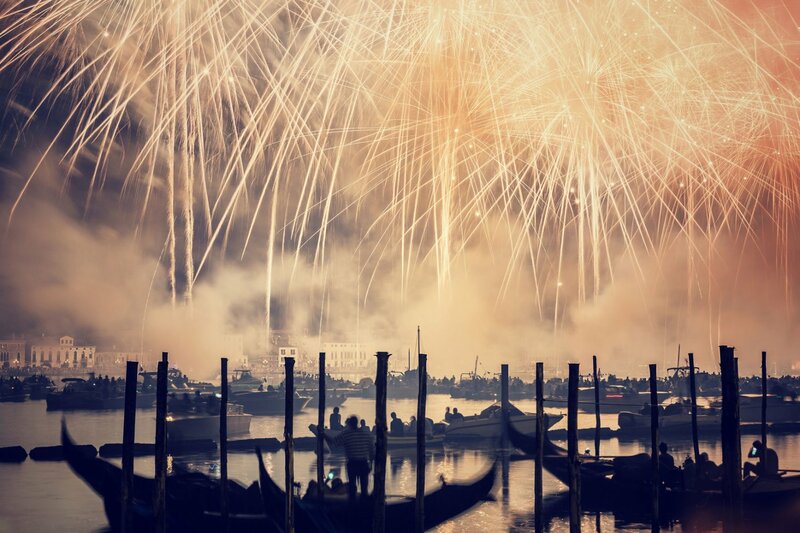 The evening before a party takes place across Venice with awe-inspiring fireworks. 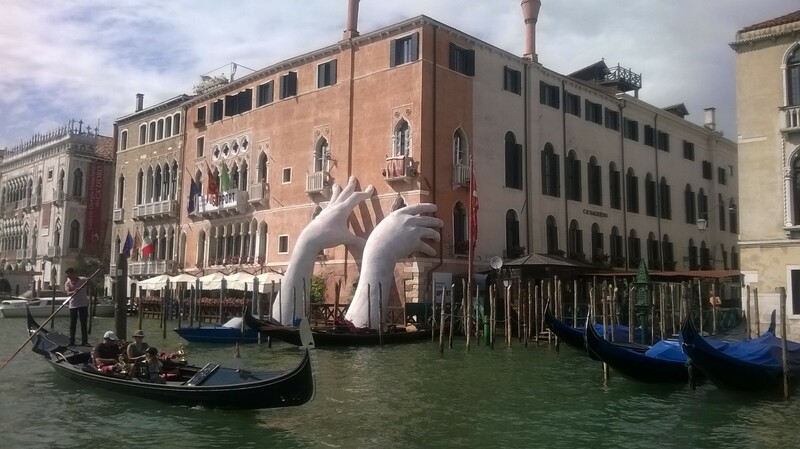 August is a strange month in Venice due to the Italian holidays. Most locals will pack up and leave the city in search of relaxation. Many shops and restaurants may close during this time and there is a noticeable lack of Italians. September is a truly lovely time in Venice. The main tourist boom dies down but the excited bustle (and warm weather) still remains. It has become a very popular time in Venice for adults so best to book in advance. Recognised by the international federation of film producers association, the Venice film festival promotes international cinema in all its forms. A star-studded event the red carpet is laid out for many famous faces (who you may spot exploring the city on a gondola). October is truly wonderful in Venice. The weather is much cooler so exploring the city is much less exhausting. Towards the end of the month it gets a bit cooler but the city has a wonderful tranquil and local feel. Winter begins in November as temperatures seem to drop very suddenly. Restaurants, shops and attractions remain open for the winter although reduce their hours. Well-known as being a sinking city, November is the best time of year to witness it. The city is quite susceptible to flooding (although this is quite normal in Venice) so pack a pair of wellies. Winter can be cold, but days are crisp and fresh, not dull. The canal and streets are aglow with colourful lights and festive decorations. Leading up to Christmas the streets begin to fill with Christmas markets, shoppers and locals doing their Christmas shopping. 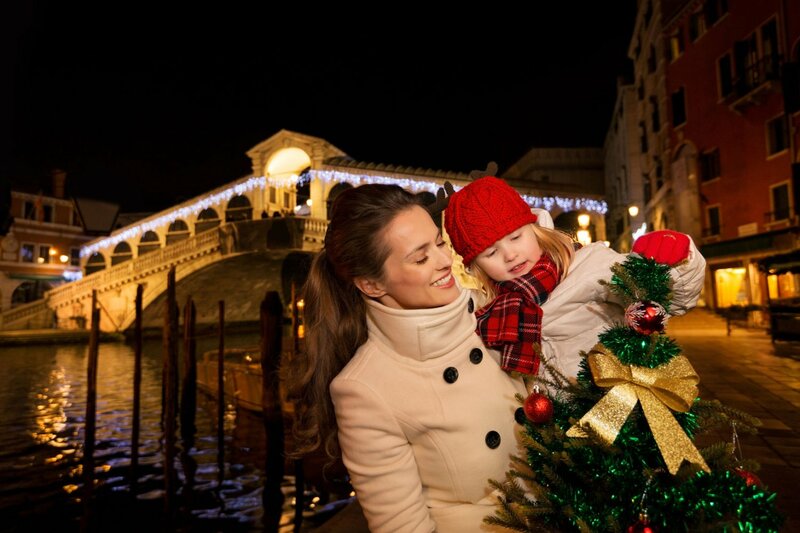 Venice is a truly magical city to celebrate the season. The pretty Christmas lights reflect in the canal and choral sounds escape from warmed up churches in to the streets. Market stalls pop up selling local handmade gifts, perfect to bring home for Christmas. A romantic ice rink is also set up at Campo San Polo.